Colorado based automotive accessories manufacturer Boomerang Enterprises, Inc. has acquired the tire cover manufacturing business unit from United Roll Forming, Inc. This transaction will expand Boomerang's product offerings into the RV and antique automobile markets. 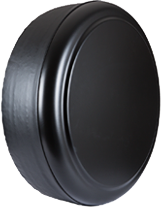 Boomerang Enterprises, Inc. and its affiliates (“Boomerang”), announced today it has acquired the spare tire cover business assets of United Roll Forming, Inc. (“URF”), which manufactures and supplies roll formed stainless steel tire cover rings and components to the RV, antique automobile and SUV accessory markets. 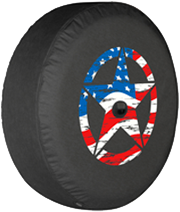 URF began manufacturing “continental kit” tire covers for several RV manufacturers in Elkhart, Indiana in 1983. 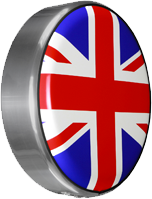 The stainless steel rings and ABS faces are manufactured in several sizes to accommodate different tire sizes. With the expansion into the recreational vehicle and antique automobile markets, this transaction secures Boomerang as the leading North American manufacturer of specialty tire covers and adds to their line of innovative automotive accessories. Boomerang will market the continental tire cover kits under their premium brand MasterSeries™ and in addition to offering the traditional stainless steel ring and white ABS face configuration, they will also offer full color ColorTek™ graphic and custom painted versions of the hard shell tire covers. 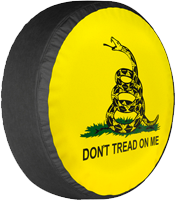 “We are excited to not only continue the legacy of the classic “continental kit” tire cover that URF has manufactured for decades, but also to introduce additional custom variations that will offer RV customers more unique ways to personalize their vehicles.” said Boomerang President, Chris Fischer. “URF is pleased that Boomerang will continue to meet the needs of the customers of the continental kit tire cover business that was the foundation of our company,” said Jim Glaum, President, United Roll Forming, Inc.
MasterSeries™ continental tire cover kits are available online at Amazon.com and other select RV accessories retailers nationwide.